Graphs and algorithms are tightly connected. One surprisingly simple way to inspect algorithms graphically is to let the algorithms plot graphs during their execution using GML (Graph Modeling Language). The produced graphs can be formatted with graph editing software. 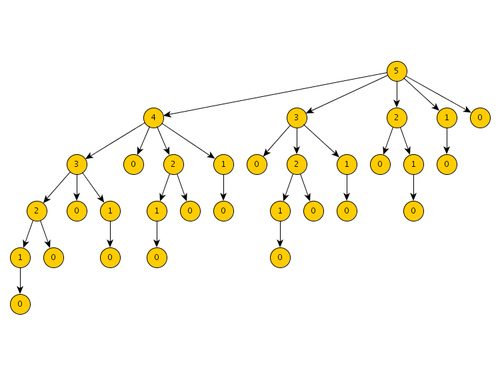 The computational complexity of recursive algorithms is often analyzed by counting the number of nodes in the recursion tree (see ). But sometimes I like to just see the recursion tree and get an intuitive feeling about what the tree looks like. One example is the plain recursive implementation of the rod-cutting algorithm. Note that there is a much more efficient solution to the rod-cutting problem using dynamic programming (see ). In order to visualize the exponential complexity of the plain recursive algorithm (and hence why it is bad), we can decorate the algorithm with some plotting statements. 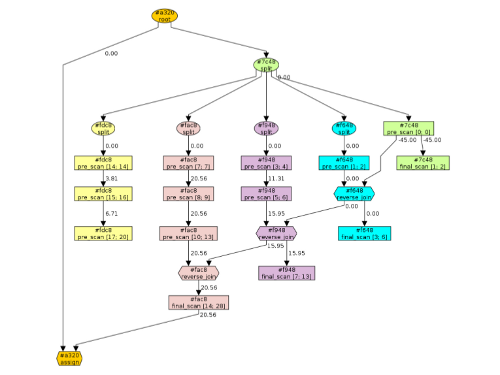 A quite concise and simple plotting format is GML (Graph Modelling Language). I prefer to just encode the graph in GML, and let a graph editing software such as yED do the layout. Altogether, this is quite a comfortable way to inspect algorithms graphically. T. H. Cormen, C. E. Leiserson, R. L. Rivest, and C. Stein, Introduction to Algorithms, 3rd ed. MIT Press, 2009.